Using yourSIM card from home or from any other NON-Austrian phone company can be extremely expensive and will result in a very unpleasant surprise when you’re receiving the phone bill. Get an Austrian SIM card as quickly as possible! If you don’t know the number which is calling you, always say your last name. Picking up and saying “Hello” or even only “Ja” (Yes) is considered to be rude. Dialing numbers can be confusing in Austria. If you want to be on the safe side, simply dial the whole number (including the country code and any other area prefix). Codes for mobile phones: 0664, 0650, 0676, 06991, 0677, etc. Save the numbers in your phone with the correct code, so that you’ll never be mistaken! Incoming calls are always free. Generally you do not need an ID-­card or any other document to buy a prepaid card. However, some providers offer monthly plans, which are normally even more cost­ efficient, if you register with a valid ID and an Austrian bank account (get your free­-of­-charge bank account here). All prepaid cards are anonymous, unless you register your number. 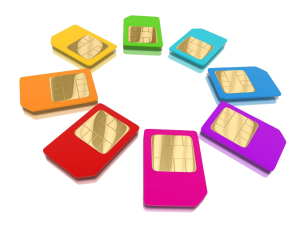 Usually the SIM­card does not need to be activated. You can simply put it in your mobile phone and start talking. Top­ups can be bought in all supermarkets, post offices, tobacco shops, ATMs, at one of many E-money universal payment machines or simply online. Mostly the activation code is just printed on the receipt.